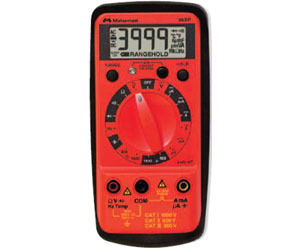 The Meterman XP series of multimeters combine features and accuracy in a small device. Each XP multimeter has built-in non-contact voltage (NCV) detection, Magne-Grip holster and CAT III safety ratings. The 35 XP is a 4000-count autoranging meter with temperature and capacitance for industrial, HVAC, and electronic applications.